"Justin and Pat were both wonderful to work with, helping me to sell my old house and build my new one!" – Nanette G.
"Justin's team was great to work with. What sold us was that he had an actual team of people. We were going to go with someone else originally, but after sitting down with Justin and seeing his preparation and hearing about the extended team, we had to go with him. Everything was great and they worked with us as we needed to tweak the contract a couple times. Everything was quick and timely. His assistant Melissa was great too. If Justin was not available, Melissa jumped right in and got our questions answered and worked with us to keep things going. From start to finish it was a great experience. You get what their whole team has to offer. I would definitely use Justin again in the future. " – Mikey and Heidi W.
"Justin McClung is the nicest Realtor I have met. He is so caring, does fantastic marketing and will recommend him to all my friends." – Gaynor M.
“Tracy went above and beyond with helping us find a home. She was so easy to talk to and always got back to us right away. She was wonderful!” – Wayne and Joan C.
"Mr. McClung was very knowledgeable and helpful. He always promptly followed up on his promises and suggestions, and made the difficult process of buying a house more pleasant than we could have expected. We would recommend him to any prospective homebuyer." – Allan and Deyse N.
“As a first-time homebuyer, Courtney was exceptionally helpful and knowledgeable. 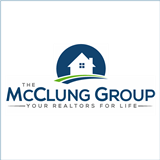 I felt confident that I was being guided down the right road during the whole process.” – Kelsey S.
"Mr McClung is an exceptionally sharp real estate agent. He is professional, personable and completely competent. He actually exceeded our expectations in the services he provided, and the manner in which he provided them. I would recommend him to anyone in need of professional real estate services. He is a straight shooter who delivers what he promises. " Bob U. "Justin and his team were great and we will definitely refer him and use him again in the future." – Jason and Christine W.
“Courtney Buie is amazing. This is the second time we have used her.... first to buy, and now to sell. She goes above and beyond to be helpful in ways I'm sure other Realtors wouldn't be bothered with. I hope I get the opportunity to recommend her services to others in the Real Estate market. Wonderful service and took all of the worry off of our shoulders! !” – Gail and Garry K.
"Justin was great. He really went above and beyond to help me with everything that needed to be done at the property since I live out of town. My experience couldn't have been better. " – Jordyn K.
"I had difficulty getting a warranty issue resolved and Justin was very helpful in making phone calls, emails, and visits to the property on my behalf. I highly recommend him to anyone looking for a realtor in the Houston area." – Jan M.
“I've worked with many realtors in many states and Courtney is at the top of my list. If you're looking for someone who listens, knows the market, works hard, is a good communicator and negotiator, then call Courtney. Especially, if you're from out of state and moving to The Woodlands.” – Nils and Holly W.
"Justin is a great realtor and has a fantastic support team. I will use Justin in the future and recommend him to anyone looking for a hard working, professional realtor." – Matt W.